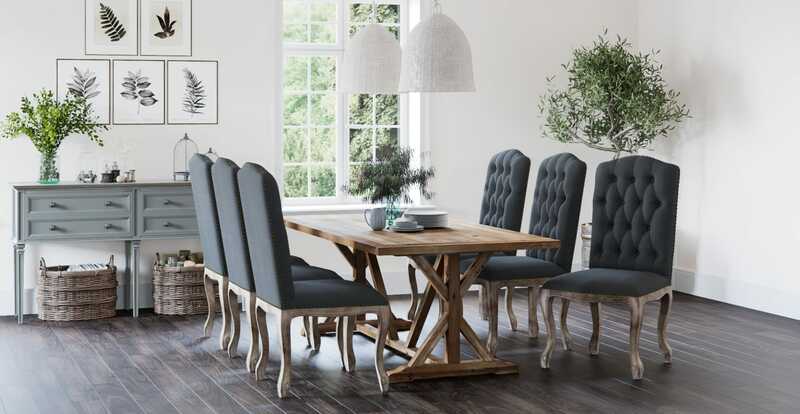 With a slightly angled back, the Marie Dining Chair is designed for relaxation and beauty. Sit comfortably while dining and rest into its gentle embrace. No matter how beautiful a chair may look, it's useless without proper padding. The Marie Dining Chair is stuffed with plush cushioning in the base and back. It's all about creating a cosy dining experience. See more of our dining chairs. How soft is the seat? Great choice of products and item was delivered promptly. I liked the 'change of mind' return policy too as I felt more confident with the purchase as I had the flexibility to get a full refund if the item didn't match my decor. It's so hard to tell from photos alone. Could not have been happier with my order! Easy process ordering. Product is excellent. Free delivery. Excellent, efficient and pleasant customer service. Thank you. See, touch and feel our fabrics used on our Marie Dining Chair. For Free! Simply select up to 3 fabrics and add them to your cart. Delivery is on us. Good news! Marie Dining Chair is currently on display in our Alexandria Collingwood studio.